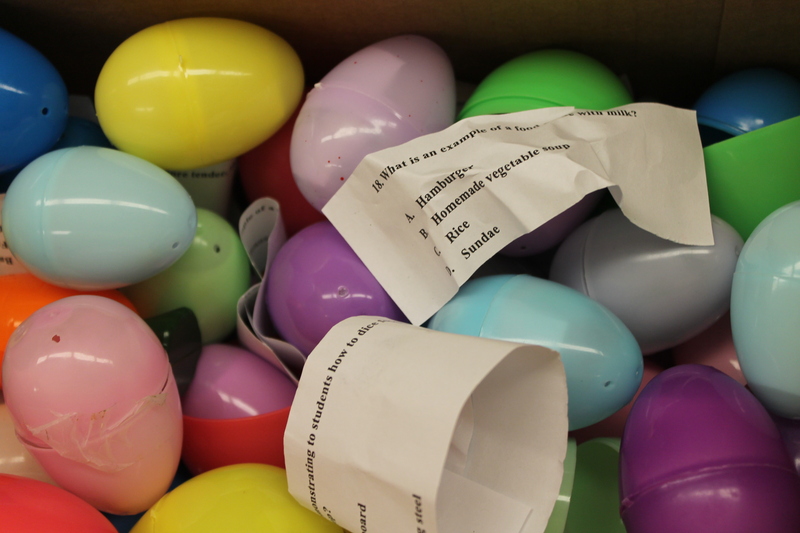 It’s my annual egg hunt where I hide plastic eggs filled with test questions. This 2.05 competency has 73 test questions which is a large amount I cut individually and place one in each egg. 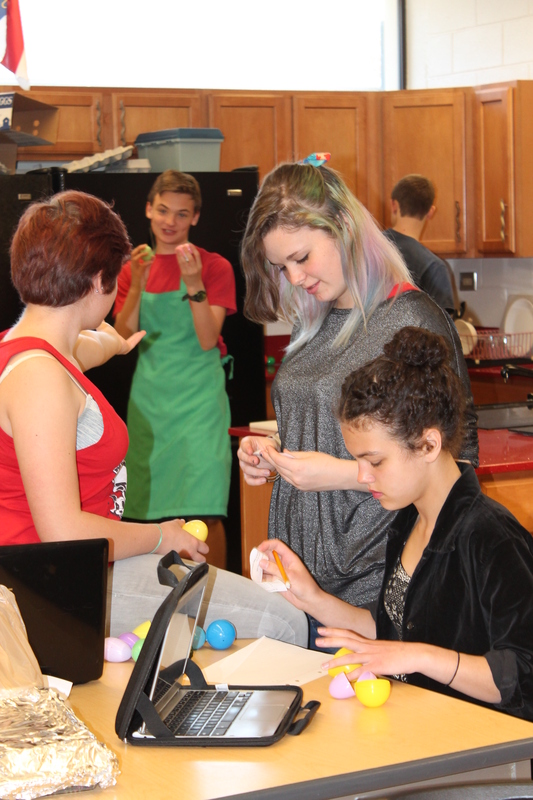 Students go on a mad egg hunt searching for the eggs in the classroom. They may use their classroom google notes to confirm answers. Each correct answer receives a candy prize. 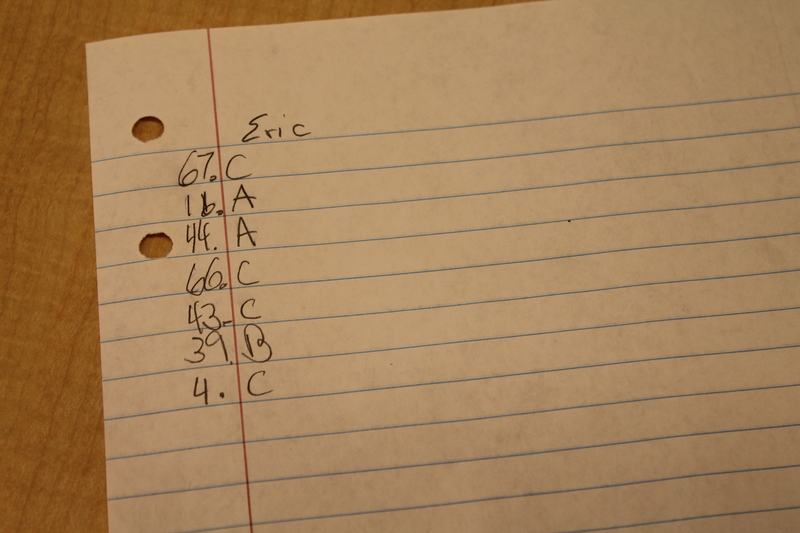 I go over the test questions with the answers after the students trade papers and mark correct answers. 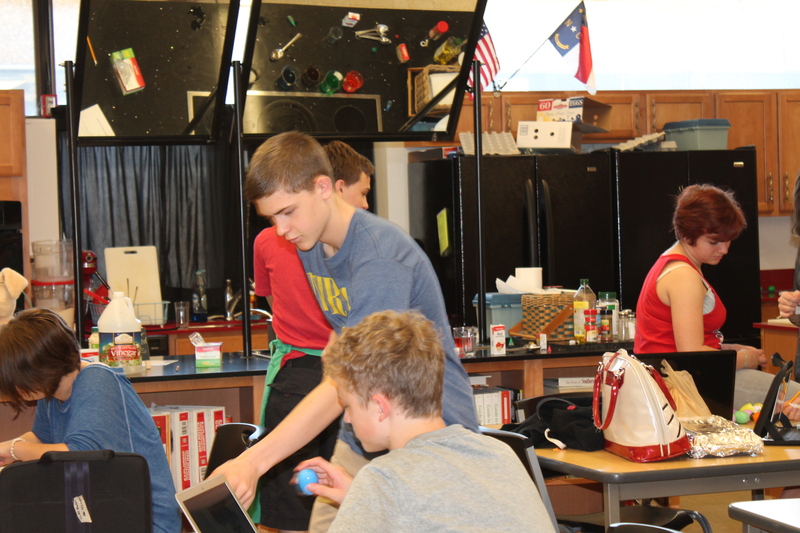 Some students like to work in their kitchen groups and divide the candy in the end. Having accurate classroom google notes helps to have correct answers for more candy! 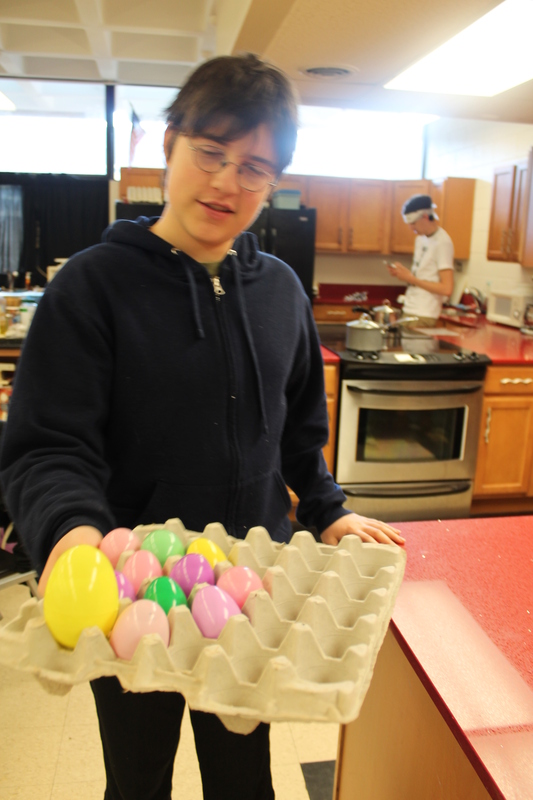 Students search high and low every where to find these plastic eggs. It’s quite a review time. 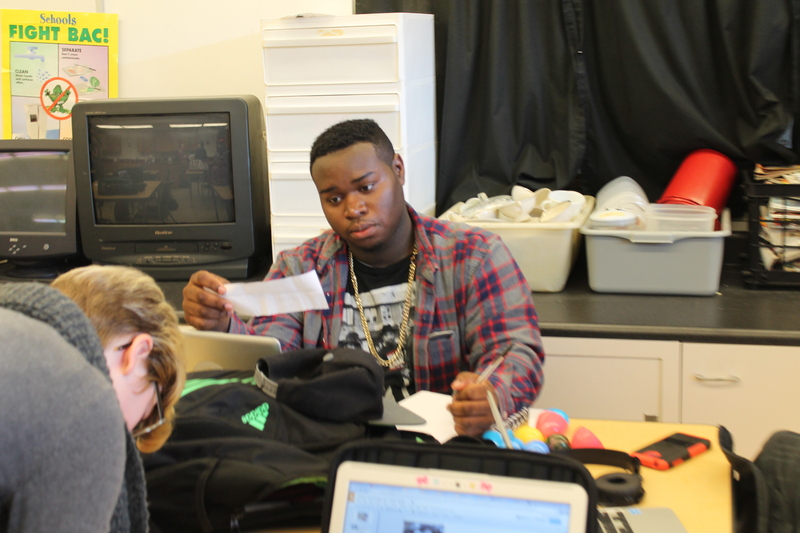 Zavion is studying his question. Wow, Ben has quite a collection to answer. It’s a great time of collaboration and team work. 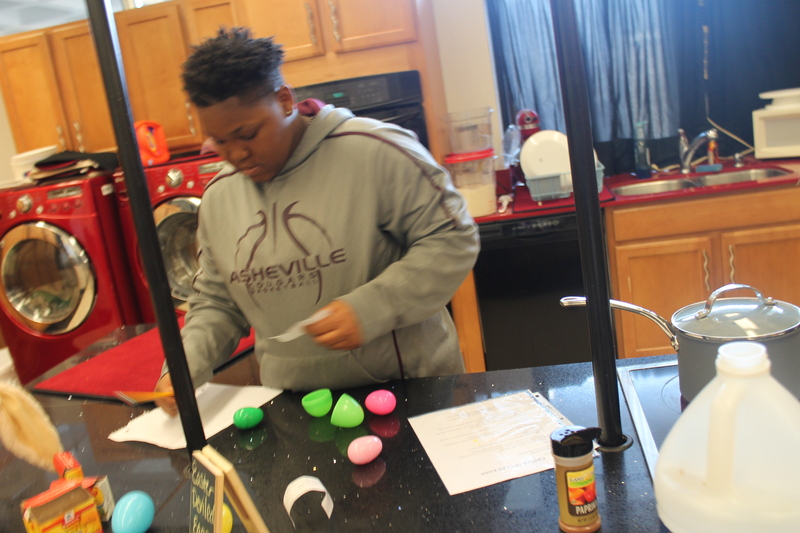 Bri is studying Easter egg style! 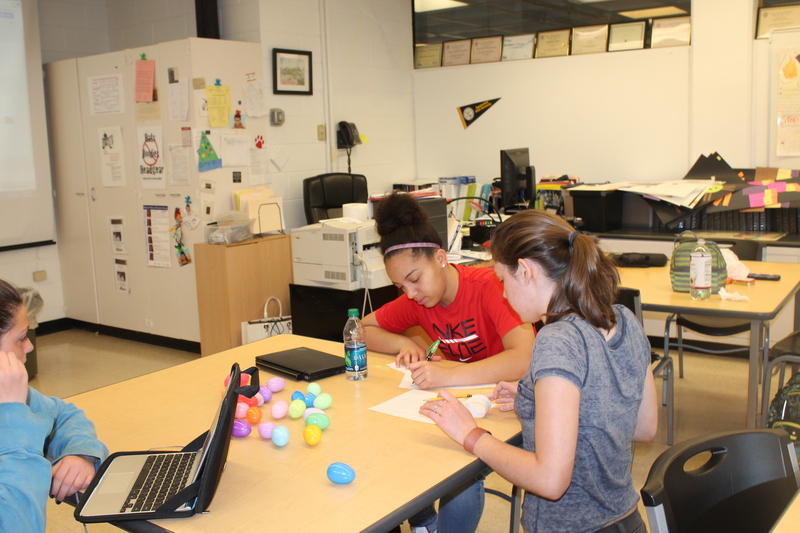 This is an engaging way to study for the test with an Easter twist!